The report which belongs to the data search study in which profiling studies, particularly with regards to education, social services and work life were carried out on 5.150 refugee women living in Istanbul and Ankara for the purpose of being used in economic and social adaptation studies, and in which a database was prepared to be used in subsequent studies was shared with the public through a press launch organized on 30 April in Istanbul. 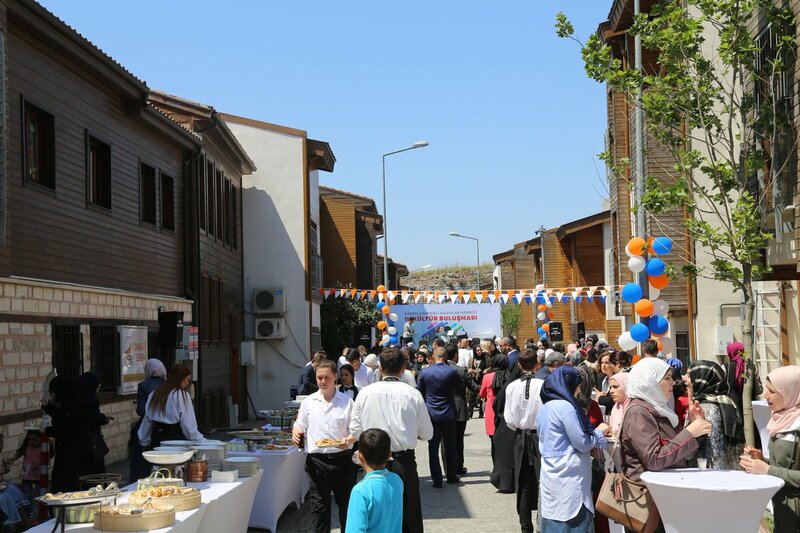 Following the Press Launch, the Culture Meeting and the Syria and Turkey Culture Meeting took place in the region where KADEM’s Refugee Women’s Centre is located in Edirnekapı. The programme was attended by KADEM Founding President Assoc. Prof. Dr. Sare Aydın Yılmaz, KADEM Vice President Sümeyye Erdoğan Bayraktar, Fatih District Mayor Mustafa Demir, KADEM Academic Board Member Prof. Dr. Ayşegül Komşuoğlu Çıtıpıtıoğlu, Prof. Dr. Yusuf Adıgüzel, Assoc. 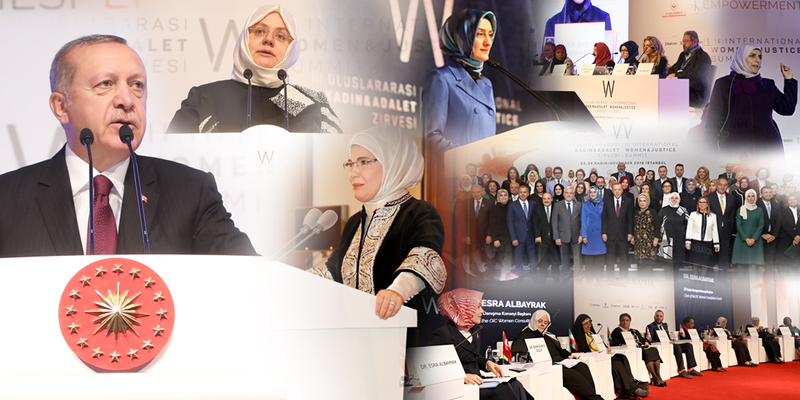 Prof. Dr. Yeşer Yeşim, Dr. Oğuz Demir, Dr. Pelin Sönmez, refugee women and many distinguished guests. Through the study carried out by the Women and Democracy Association Refugee Women Socioeconomic Research Centre with 5 thousand 150 refugee women who are living in Istanbul and Ankara, the economic, social adaptation and education profiles of the Syrian refugee women in Turkey were identified. The “Refugee Women Culture Meeting” was organized under the protocol signed between KADEM and AFAD for the purpose of implementing economic and social adaptation projects and developing joint services in the psychological, legal, economic, professional and social fields covering foreigners living in Turkey under temporary protection and women arriving from Syria. 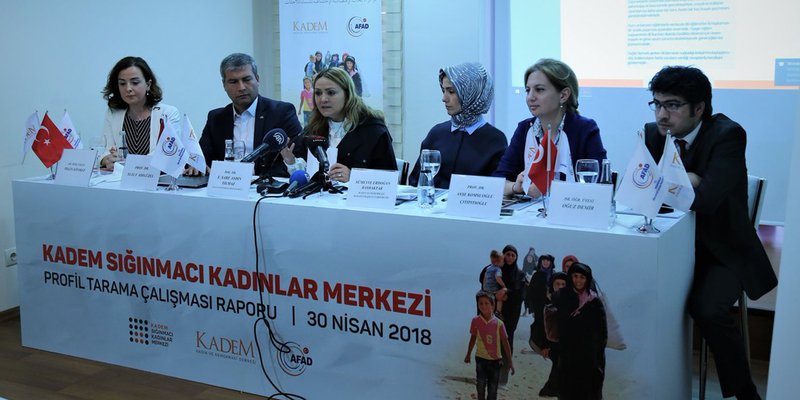 .KADEM Vice President Sümeyye Erdoğan Bayraktar noted that it is recognized by the world that the global world order remains powerless in protecting people when there are over 23 million refugees, and that a radical change is needed for a fairer world. 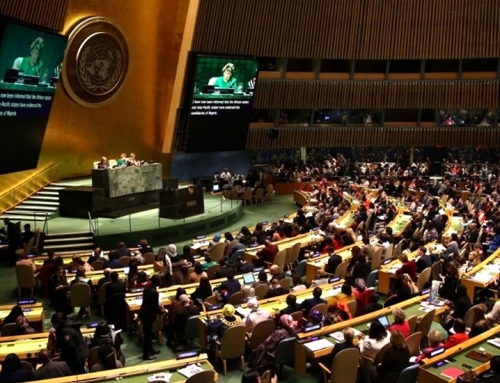 Stating that Islam prohibits the harming of women, children and the elderly during war, Bayraktar also stated that the Geneva Convention clearly bans the targeting of women and children. KADEM Founding President Assoc. 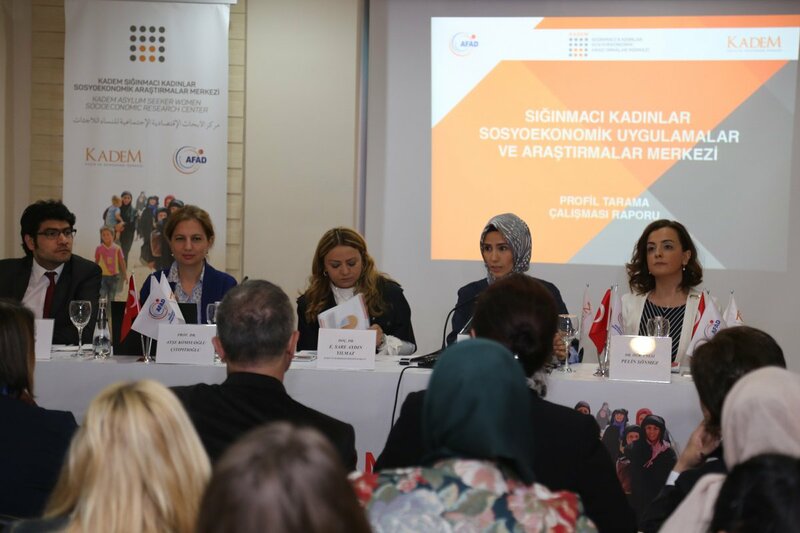 Prof. Dr. E. Sare Aydın Yılmaz indicated that they went on the field to conduct a study under the cooperation they carried out with AFAD for the purpose of achieving more efficient results for women, and that this project was the first large-scale field work in its own field. Stating that the study was carried out by an academic board consisting of 6 people, that 3 separate focus group meetings attended by 40 Syrian women were held, and that 93 questions were accordingly prepared after identifying the problems of Syrian women, Yılmaz indicated that, since 95 percent of the refugee women did not speak Turkish, 75 percent of the interviewers they chose were Syrians, who spoke their language. 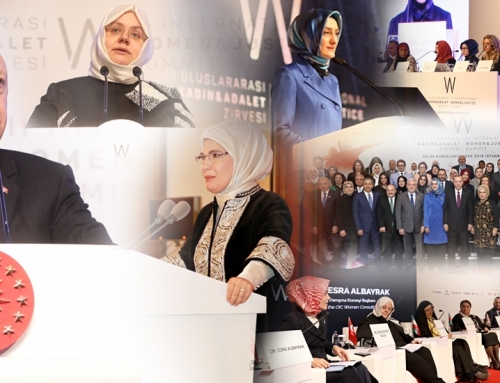 Aydın stated, “We carried out the study to measure the problems of the Syrian women outside camps, the ways in which they hold on to life, and the problems they encountered in socioeconomic, political and psychological terms. Protected by the state, those in the camp are able to benefit from all these opportunities. However, those outside try to survive with their own savings, and the support provided by non-governmental organizations and the state. Looking at the age range of those participating the study, it was determined that one thousand 67 women are aged between19-24, which is the most productive period in human life. Nearly 2 thousand women are at the ages when one is the most dynamic in terms of economy as well as holding on to life and production. This age distribution indicates that the age range of the Syrians living in Turkey is rather young. 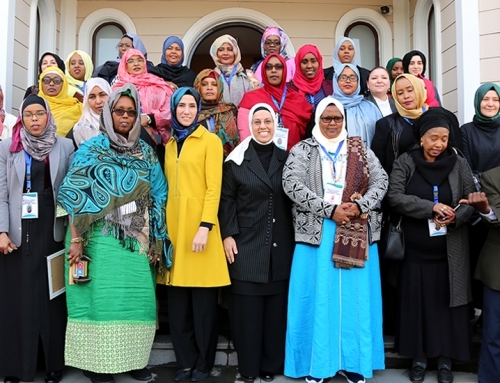 Indicating that these women chose Istanbul and Ankara due to work opportunities, Aydın stated that 60 percent of the women participating in the study chose Ankara and Istanbul for economic and educational purposes. 74,1 percent of the women are officially married. Later on in the meeting, Dr. Academic Staff Oğuz Demir assessed the results in the economic sphere, Pror. Dr. Yusuf Adıgüzel in the social sphere, Prof. Dr. Ayşe Komsuoğlu Çıtıpıtıoğlu in the educational sphere, and Dr. Academic Staff Pelin Sönmez in the health sphere. 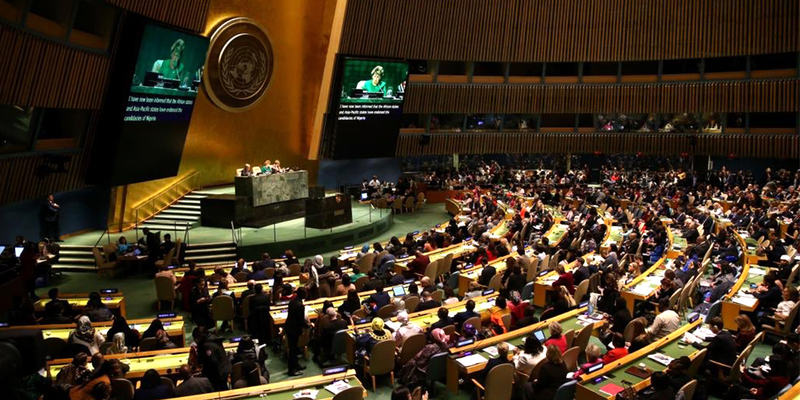 According to the research, a large percentage of the women, namely 94,4 percent, stated that they had not been previously employed in Syria, while only 22,7 percent of the Syrian women wish to work in Turkey. When they are asked about the legal problems they experience, the lack of information about work permits and employment conditions in Turkey becomes obvious. 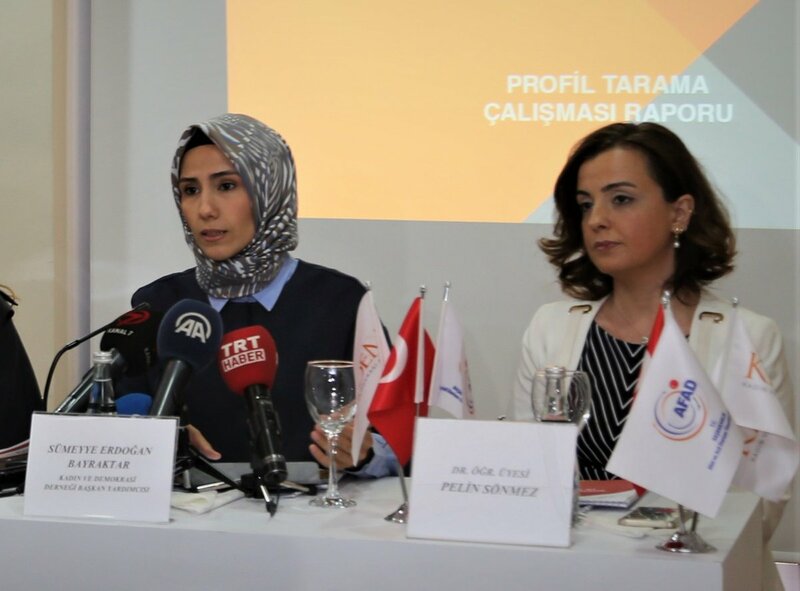 While 58,1 percent of the women wishing to participate in work life indicated that they are unable to obtain a work permit, 23,4 percent claim to have no knowledge about employment conditions in Turkey. 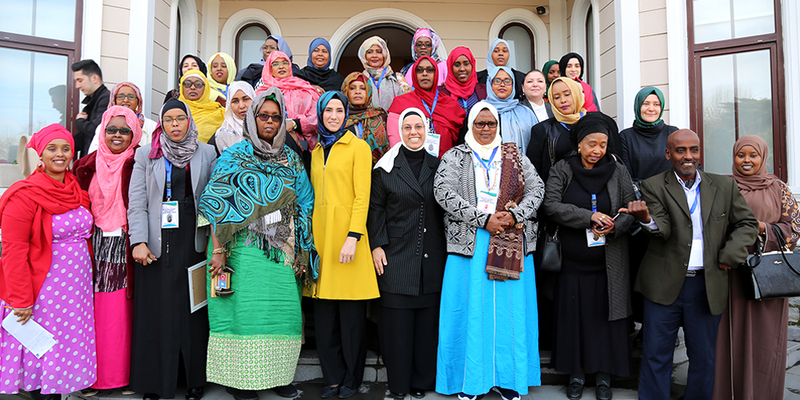 Only a 9,4 percent of the women participating in the research are employed in Turkey. It has been revealed that out of every four women who have been asked “are there any Turkish citizens among your friends,” only one has a friend who is a Turkish citizen. 74,7 percent of the women participating in the survey replied to this question by saying “no,” while 25,3 percent replied as “yes.” 79,7 percent of the women indicated that they had no Turkish friends since they could not speak Turkish. The 10,4 percent of women saying that everyone around them is Syrian expressed that they were not able to make friends with people from the Turkish community due to the language barrier, and could only come together with people of their own ethnic origin. When the women were asked “What is the most similar quality between Turkish culture and your culture?” 8 percent said that there were no similarities, while 10,4 percent indicated that everything was same. 25,8 percent of the women replied to the question “what are the most different characteristics between Turkish culture and your culture?” by stating that there were no differences between the two cultures. In response to the question, “where would you like your child to live in the future,” 65,3 percent of the participants answered Syria. 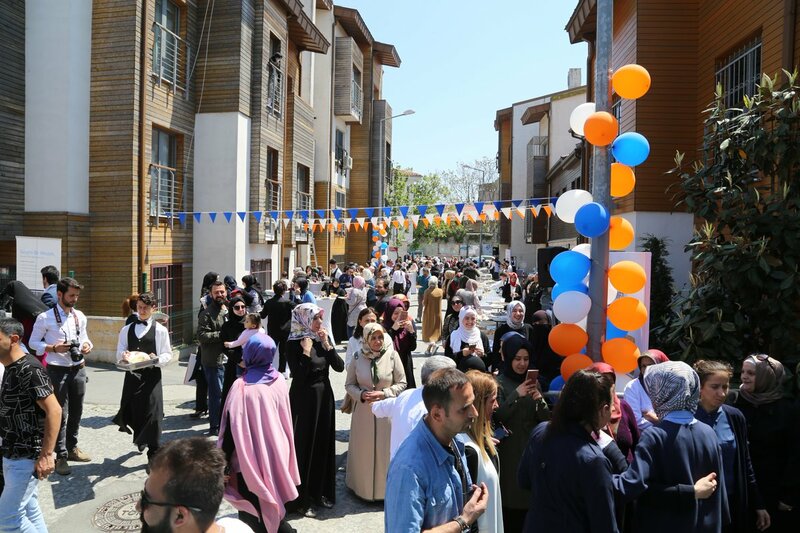 89,8 percent of the women said that they were happy with the education their children were receiving in Turkey, while the percentage of those wishing their children to continue receive education at university level was found to be 60,2. 22,9 percent of the participants indicated that they wished their child to receive postgraduate education. Following the press launch, KADEM Founding President Assoc. Dr. E. Sare Aydın Yılmaz ve and Vice President Sümeyye Erdoğan Bayraktar and the other participants visited the HAYAL [DREAM] exhibition where handmade products made following the education provided to the Syrian women in KADEM were exhibited. 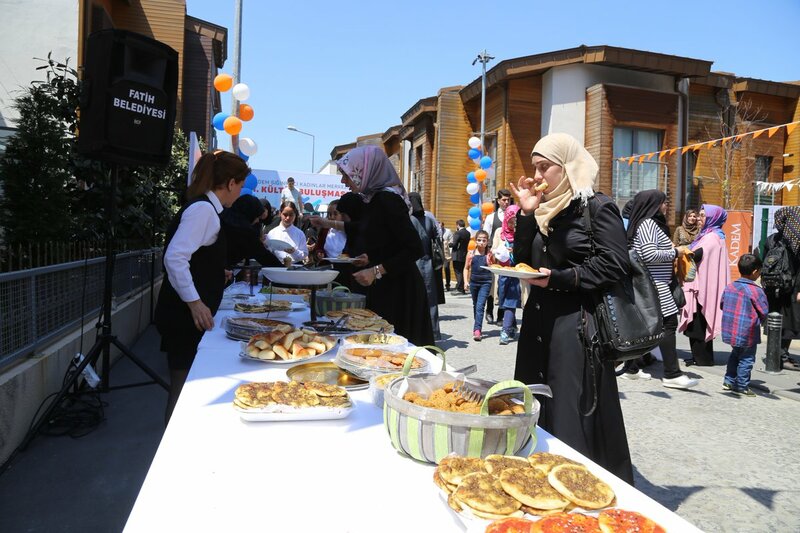 The festival offering local flavors from Syrian and Turkish cuisine to the visitors brought women from the two countries together around the same table.